Aircraft engines require specific lubrication characteristics in their engine oils – these oils have an exclusive grading system referred to as Aviation Grade. 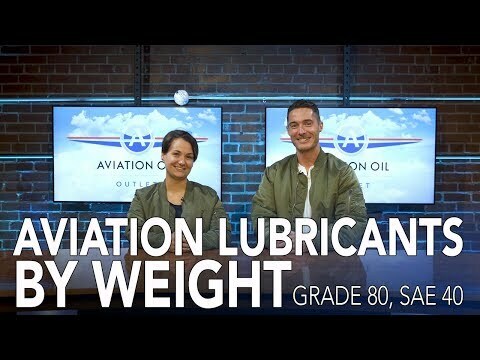 Aviation oils with a Grade of 80 are also equivalent in viscosity to SAE 40 oils, so they may be referred to as either or. These oils have viscosities of 14.6 cSt @ 100°C. Though SAE is an acronym for the Society of Automotive Engineers, the standard testing mechanism for measuring viscosity in lubricants is used to test various lubricants including those used in aircraft engines.